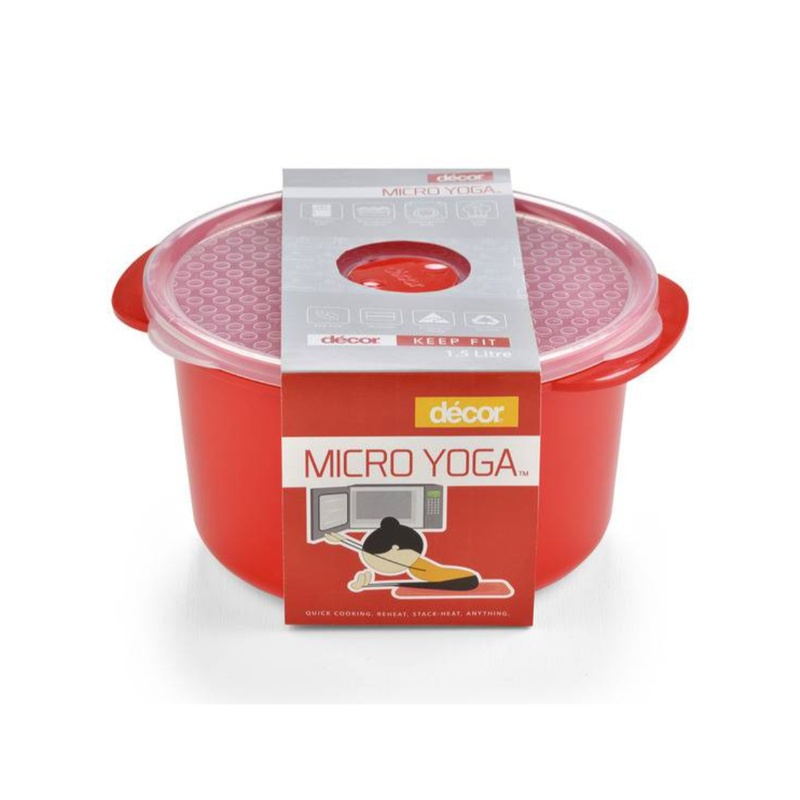 Decor Micro Yoga containers have been specifically designed for quick microwave heating and cooking. Featuring stain resistant red bases, safe hold handles and a steam release lid vent, there is a size in the range to suit all microwave needs. Stack Microsafe containers ontop of each other in the microwave to heat numerous things at once or freeze meal portions in the containers for reheating later.